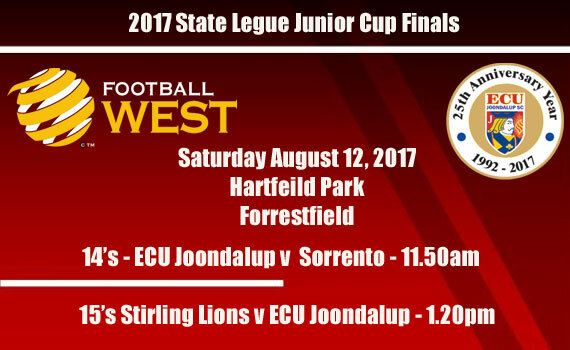 ECU Joondalup under 14’s and 15’s are in Cup Final action this weekend with both games being held at Hartfield Park in Forrestfield. The 15’s had a hard fought 3-0 win on the road against Armadale in the second round, after a bye in the first round. In round three they travelled to fellow NPL side Balcatta and came home with a 4-1 win. In the quarter final they beat NPL side Melville City and came home with a 3-1 win, and that set up a tough Semi-Final clash with fellow NPL side Perth Glory. It was another tight affair but the Jacks scored the only goal of the game to run out 1-0 winners.